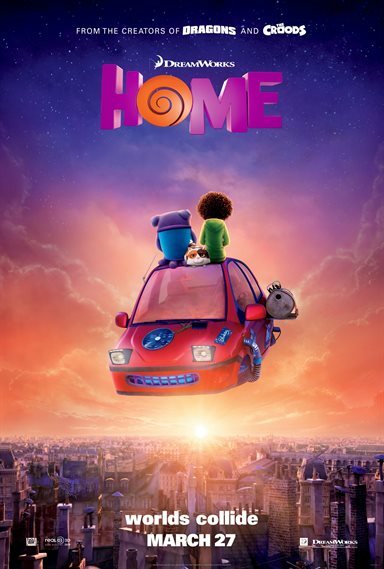 Listen to the Home soundtrack on Apple Music. Home images are © 20th Century Fox. All Rights Reserved. The Boov are coming, The Boov are coming!!! What exactly are "Boov", you ask? They are the cute, colorful alien creatures at the center of Dreamworks' new theatrical release Home. Out in theaters on March 27, 2015, this animated film is an hour and a half of typical family entertainment. The Boov are a society of scared little blobs who take over a new planet every time their enemy finds them with the intent of annihilating them. On the run once again, their fearful leader, Captain Smek" (Steve Martin; Cheaper By the Dozen), finds a new "home" for them…this time on planet earth. Thinking they are superior to humans, the Boov relocate Earth's inhabitants to one continent and take over the rest of the planet. When one little girl, Gratuity "Tip" Tucci (Rihanna) ends up not getting relocated, she starts on a quest to find her mom, Lucy (Jennifer Lopez, Out Of Sight). Aided by the Alien screw up, Oh (Jim Parsons, Big Bang Theory), they set out for adventure that ultimately saves Earth and the existence of the Boov and human races alike. There is nothing new or innovative about the plot of Home. It blends so many other stories together that when you watch it you have a sense of familiarity. In the beginning I felt as if I was watching any of the recent outer space sagas of an enemy chasing another life form through the galaxy. 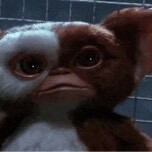 Once we meet Tip, I had a momentary flashback to Home Alone. As Oh and Tip travel the globe in search of her mom, I could see myself as a child on any given Saturday morning, parked in front of the television watching The Jetsons. I could continue, but I think you get the picture. The real gem of this movie is the cast. Steve Martin is great as the fumbling, cowardly leader of these aliens. He makes up senseless rules but presents them in such a way as to make is subject embrace them without question. Rihanna is surprisingly good for one of her first acting efforts. She added the right tone and inflection to her voice to help the audience feel Tip's every emotion. Jennifer Lopez does a solid job as Lucy. However, I don't know how well the other characters would gel if it wasn't for the talents of Jim Parsons as Oh. While his voice is familiar to anyone who watches Big Bang Theory, it isn't distracting and doesn't detract from the film. He was perfectly cast as the good hearted, naïve, lovable goof whose innocent mistake potentially dooms his people and the planet earth. Because Rihanna and Lopez are attached to the film, the soundtrack is fairly strong with both women contributing solid pop songs that become infectious the more you hear them. While they are far from the level of "frozen" mania, I can certainly see the songs becoming standard fare on top forty-radio station around the country. The picture quality is excellent with vibrant colors throughout, which is a key component of the plot at some moments. The 3-D effects are ok but nothing that made me (literally) jump out of my seat.